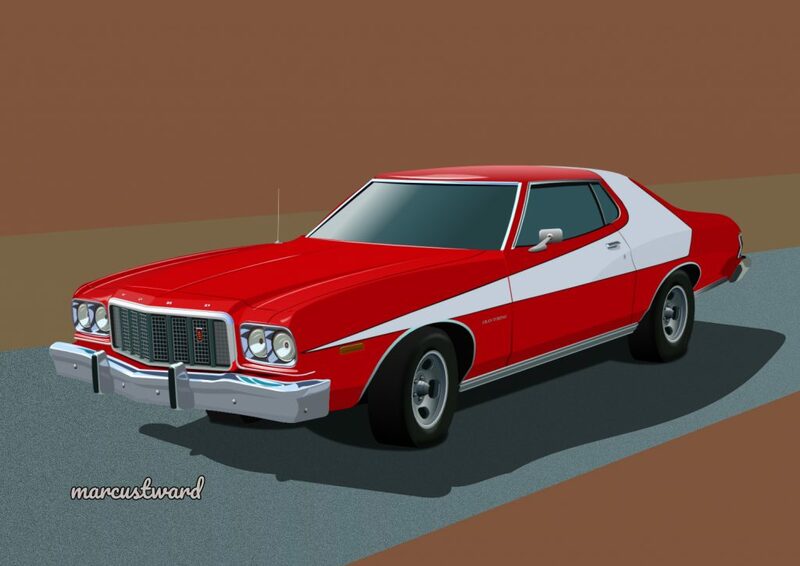 As part of my #moviecars & #tvcars series I felt obliged to draw the infamous Ford Gran Torino (aka the Striped Tomato) from the hit 70’s buddy cop series Starsky & Hutch. What was originally going to be a more simpler drawing, it soon dawned on my the amount of work that was needed to replicate the radiator grill. probably about 25% of my time on this drawing was due to that grill.